Unfortunately Seymour doesn't really post anything worth following anymore! Perhaps once Poponfu is finished serving his sentence there will be some information to share. Legions doesnt seem to be working for me what do i do? the servers dont show up. Hmm, server's are showing online for me. If the issue persists, make sure to create a thread in the bugs report forum (check out the diagnosing network connections guide too). What the heck Seymour! Why you a moderator :'( You are the best community person around here! But why :( Did you request? The way I look at it, a community manager should be someone who's also active ingame, a point that I was lacking in. Plus, they refused to give me a female co-CM. I wanted an attractive female and they give me Apcizzle and Jordahan!? We looked at market demographics, and Seymour was found to be old and busted! Jordahan is the new car smell! Stubbsy and aus.hsp like this. Seymour, what about a hardware section? yar, doesn't mean I still wouldn't want to see one, though! Wow, oh my gawsh thats a sick idea! Wish i could afford some parts, i'd build myself something like this! Have a good birthday Seymour! 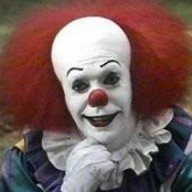 You should have an avatar with Pennywise and Georgie. Yo seymour, I've basically been added as the cgi director for the legions trailer zero was talking about. When I asked gamedevmitch for the models of the 3 characters he asked if I was on the dev team or not. I'm assuming I'd have to be to get my hand on the models. Can you help with this somehow? Idk what I'm supposed to do, If I create my own models it's going to take about two years to do it alone. Make facebook to me like you used to? Sure, just waiting for my NDA and stuff to be approved. Is it a long process? Nono not really. I can ask the devs to manually check. Gimme the email you used. Shouldn't this forum have a "Read this before you Post!" type of thread? It would certainly clear some repeated threads being created. Ah, I dunno, I remember the IA forums had that and it didn't seem to help matters any. Perhaps if the user population grows such a thing will be mandatory.